*Walgreens Pharmacist Survey Study, November 20112. Shake well before using. All doses may be repeated as needed, after meals and at bedtime or as directed by a physician. Do not exceed 12 doses per day. Only use the enclosed syringe. Do not use any other syringe, dropper, spoon or dosing device when giving this medicine to you child. Remove cap and insert syringe into hole at top of bottle and turn upside down. Pull back plunger of syringe filled slightly over prescribed level. Turn to original position, simply push plunger back until you have reached the prescribe level. Pull syringe out of the bottle and dispense liquid slowly into baby's mouth, toward the inner check. Dosage can be mixed with 1 oz. of cool water, infant formula or other suitable liquids. For best results, clean syringe after each use and replace original cap. Store at room temperature. See bottom panel for lot number and expiration date. Keep out of reach of children. In case of overdose get medical help or contact a Poison Control Center right away. 1-800-222-1222. Do not use if the neck wrap imprint with "Safetly Seal" is broken or missing. Do not freeze. 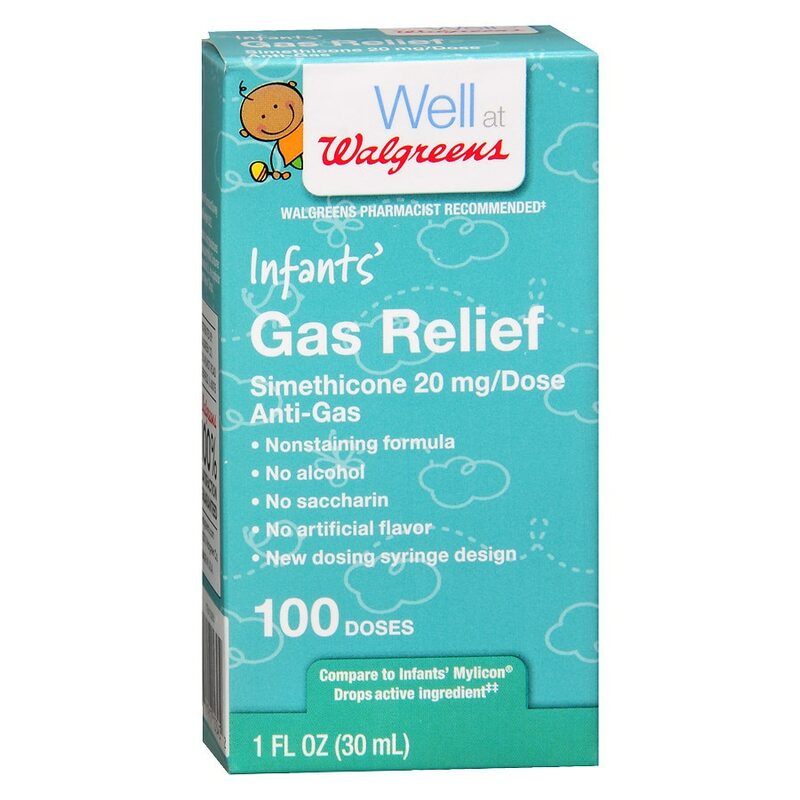 Relieves the discomfort of infant gas frequently caused by air swallowing or certain formulas or food.